I can’t believe it’s the last day of August! Fall is just around the corner, and that’s truly my favorite season to run. The air is cooler, the trees become beautiful, and running outside is downright pleasant. It’s still super hot here though, so I’m grateful I’ve been able to accomplish anything this past month in terms of running. I used to do monthly running wrap-ups before I got pregnant with Porter, and I’d like to transition it to “workout wrap-ups” instead, since I’m doing a lot of swimming, too. I started working out at about 4 weeks postpartum with the okay from my OB since I had a remarkably easy recovery. I was still feeling pretty weak and wobbly, but I got out there and I started with light runs about a mile long. August was supposed to be my big push month for running, but I ended up hurting my calf. I was in the middle of my longest postpartum run – 3 miles – when I felt my calf lock and then pull sharply. I could barely walk. 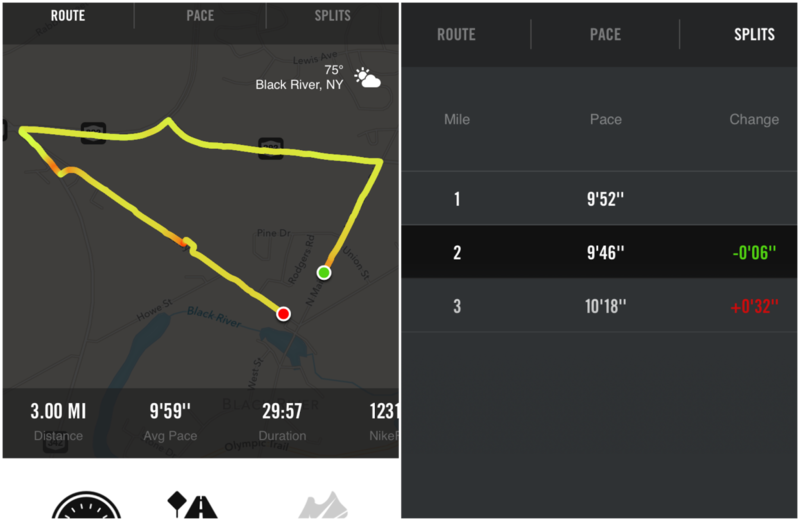 I had to give it about a week off, then I started back up again right at one-mile runs. I’m sticking around two to two and a half miles right now, and I’m just going to stay at that point until I get comfortable. In terms of swimming, it was a landmark month for me in August! I finally got back in the pool. I don’t think I’ve been in the water since Spencer was about 7 months old. As someone who competed for 17 years in the sport, I find it really difficult to motivate myself in a pool unless I’m training for something. So, getting a race in the books was a huge help, and now I have my sight set on my next race – Swim Miami 10k in May. It’s a long way away, but I think it will give me adequate time to train, especially through Ryan’s deployment. Needless to say, it was a pretty good jumping off point for me this month in terms of working out. I have a long way to go, and I have a bunch of weight I hope to lose through healthy diet, using Weight Watchers again and working out. But, all things considered, I’m pretty pleased. I look forward to making even more progress in September because I truly believe one of our biggest needs as parents is to set a good example for athleticism and hard work for our children.